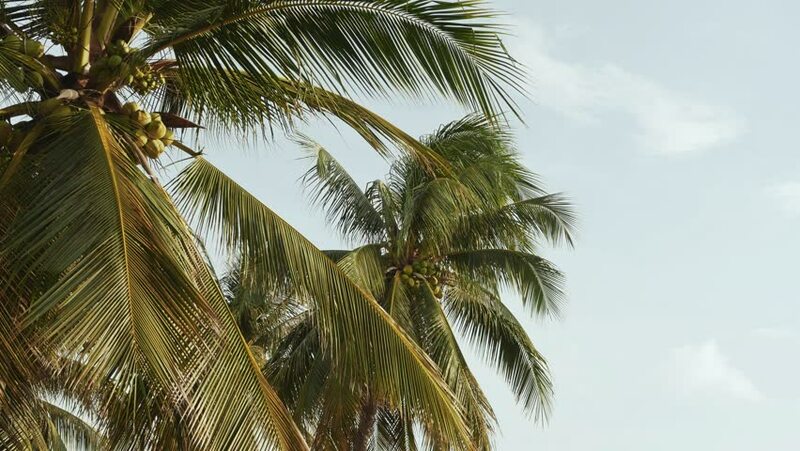 On the palm grow coconuts. Nature of Vietnam. hd00:14Palm trees with blue sky at beach resort waterfront.